10 mm glass bead one decade rosary. 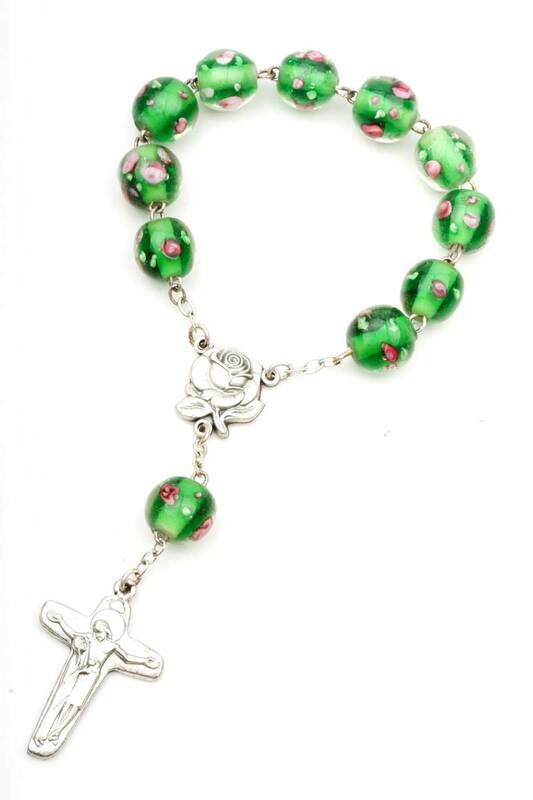 Made in Italy, this rosary features round beads with floral accents. The beads are smooth to touch to make it easy to pray the rosary. Total length is 5.5"